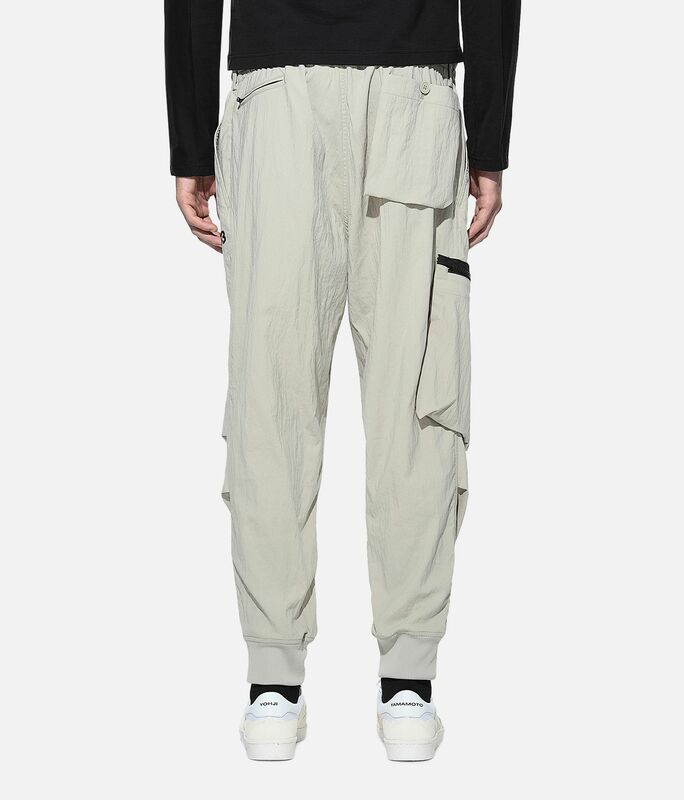 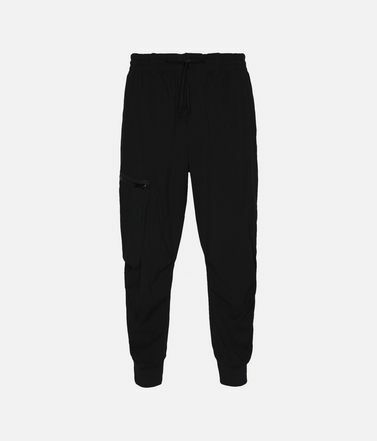 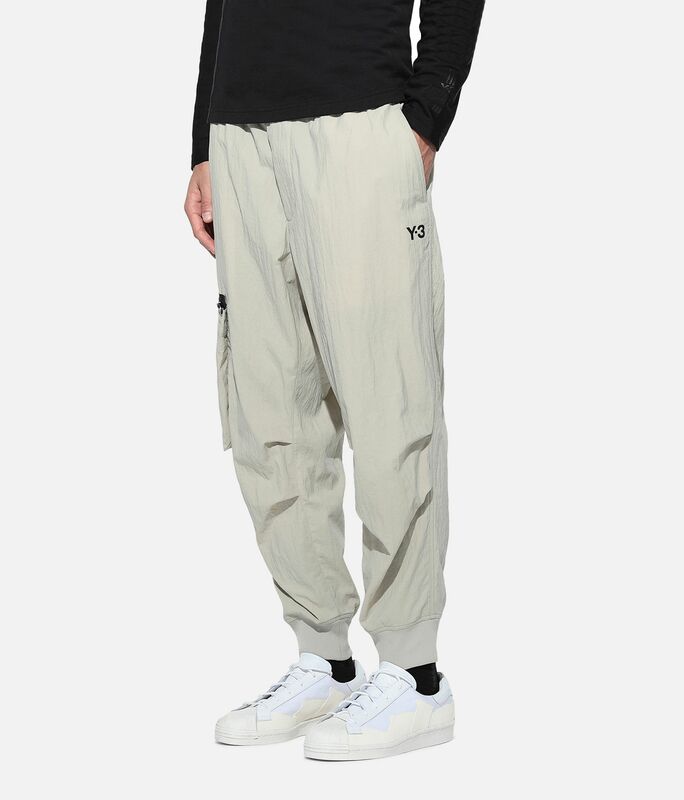 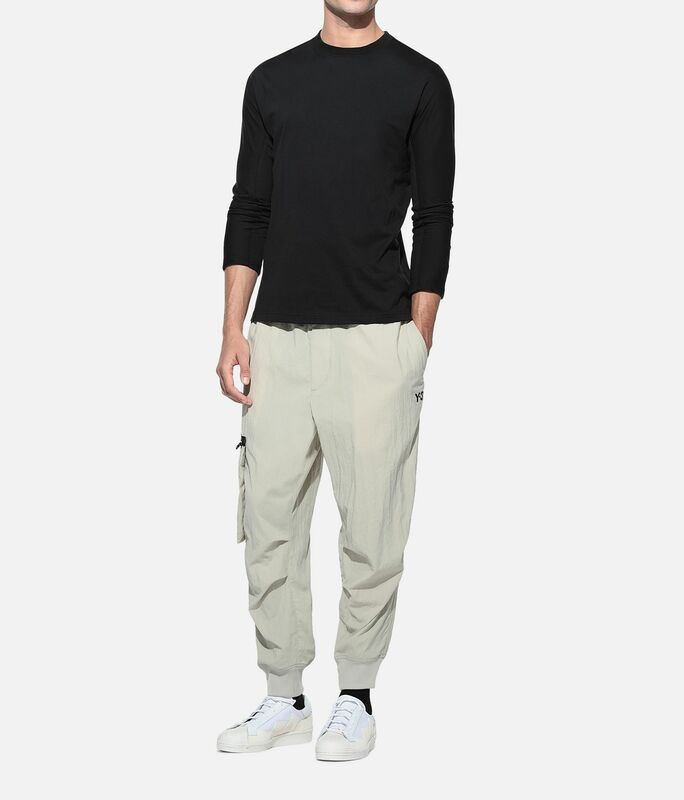 Experimenting with volume, Y-3 borrows inspiration from the lightness and drape of parachutes to create the Cargo Pants. 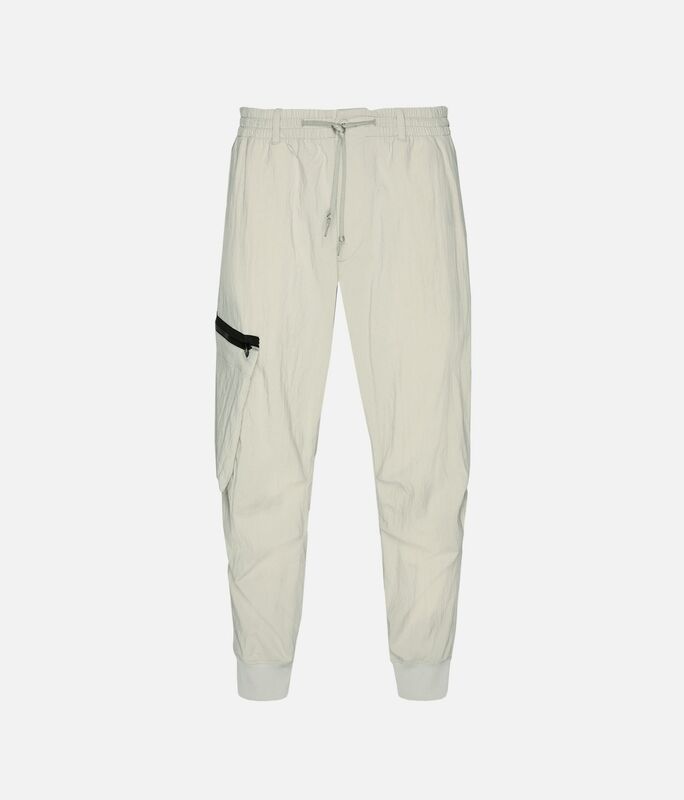 The technical look is made of smooth, lightweight nylon and features an exaggerated utility pocket. 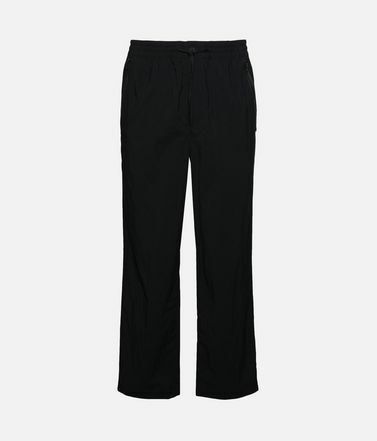 The relaxed, slightly cropped silhouette is lined in soft cotton. 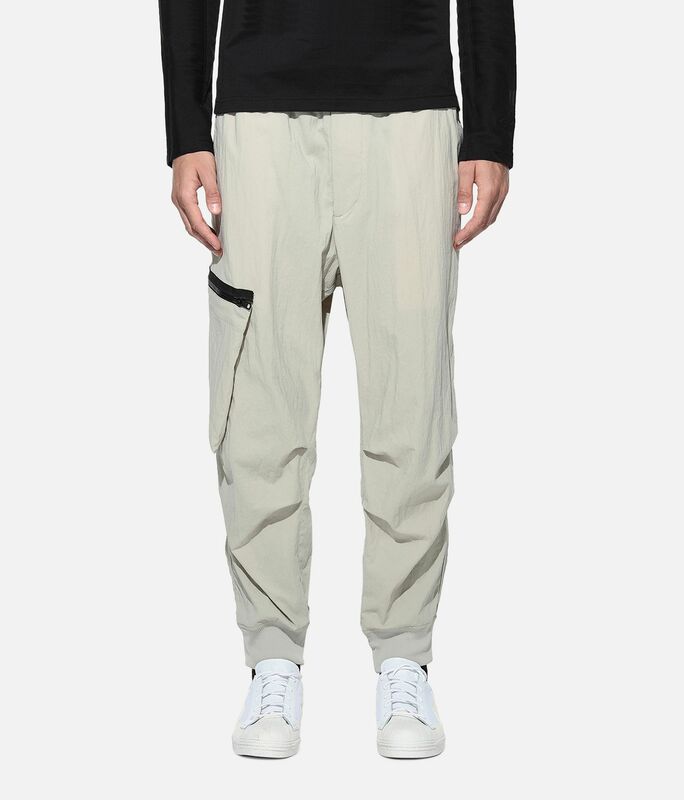 Side pockets; Back pocket; Zip utility pocket.Tie cord on elastic waist; Zip fly; Belt loops.Cropped length; Ribbed cuffs.Y-3 logo on front; Y-3 parachute label on back.We partner with the Better Cotton Initiative to improve cotton farming globally.Care instructions: Wash separately, gentle machine wash cold, iron low, do not iron print.69 cm inseam (size M).Relaxed fit.Main: 100% nylon gabardine; Lining: 100% cotton plain weave.